Piqua, Ohio – May 14, 2012. 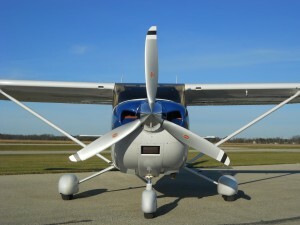 Hartzell Propeller Inc. has received an FAA Supplemental Type Certificate (STC) for a 3-bladed propeller conversion kit for the Cessna 182S, 182T Skylane, T182T Skylane TC, up through models in current production. The conversion kit provides Cessna Skylanes with improved performance, appearance, and decreased noise signatures.